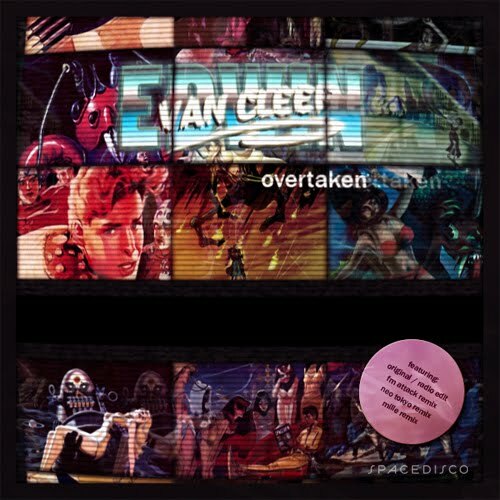 UK's Edwin Van Cleef just released his Debut EP for his catchy dance anthem 'Overtaken' on Beatport yesterday. It comes complete with remixes by FM Attack, Mille and Neo Tokyo. This guy's already played live on the same stage as Futurecop! done remixes for Grum and received support from Radio 1, so he's well on his way. His label Space Disco has given us permission to post the Radio Edit for 'Overtaken' in full 320 and the excellent Mille Remix in 128 bit rate. If you like what you hear you can buy the EP in full 320 Exclusively on Beatport. In addition here's an excellent DJ Mix in a series that he does from time to time also called Space Disco. This one is Vol #3 and it features many of the artists we love/cover on OTR like Sally Shapiro, Sounds of Arrows, The Gossip, Keenhouse, Fake Blood and more. Here are those plus the DJ Mix and tracklisting. Enjoy!